Slab’s coffers are empty after the extravagance of sending your roving correspondent to distant Lincoln, England. 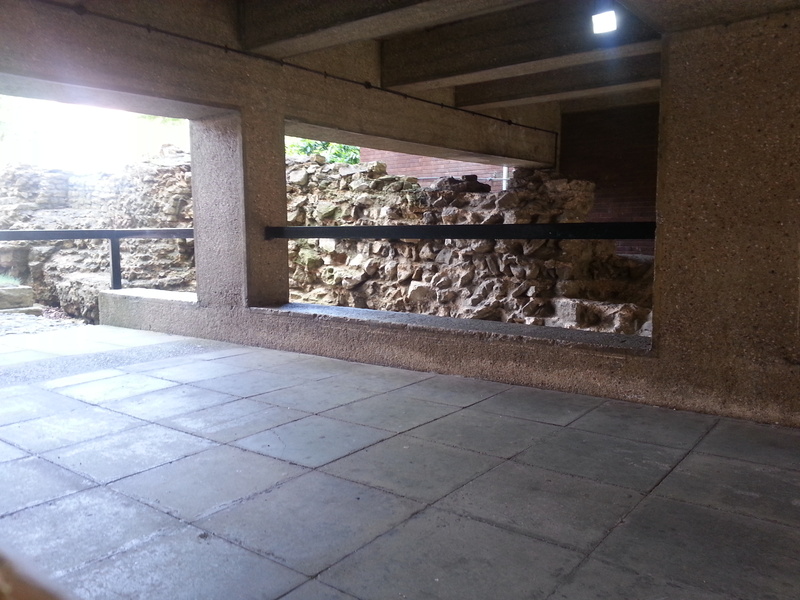 The Roman walls survive in some places, here indelicately overstepped by the undercarriage of the brutiful 1970s City of Lincoln Council building. For the new building, the relic is an irrelevance that it is obliged not to obliterate. 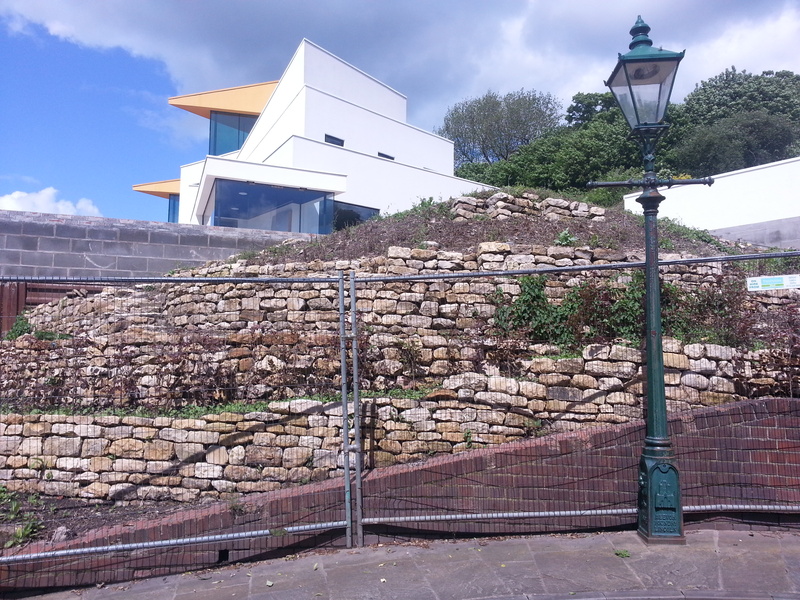 Preservation by condescension, insultingly undoing the difference between the outside and inside of the old walls. It does not matter which side we are on. Die Mauer ist weg. 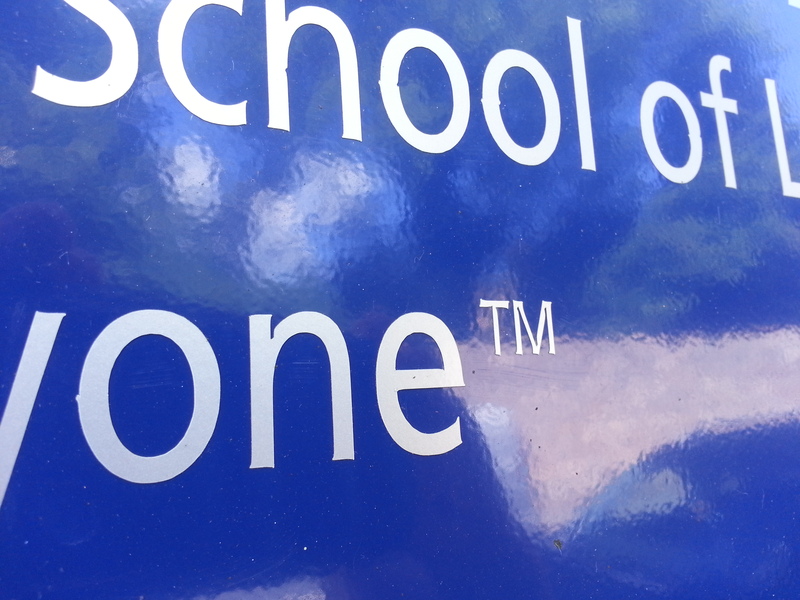 It matters here, though. As you progress up the steep hill that is the heart of the old city, you move through a rather exclusive neighbourhood of niche houses, concealed from the winding streets, each with picturesque planting spilling over their walls, as if to make up for their high exclusivity. I have walked similar wealthy laneways above the coast around Nice. The cathedral at the top of the hill is for everyone. 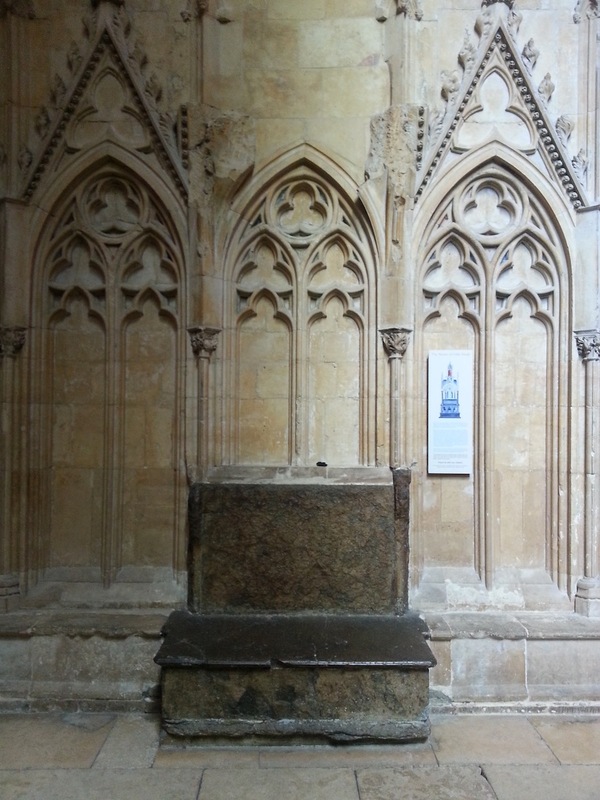 For centuries, it welcomed pilgrims from far and wide who came to see the relic of the tomb (pictured) of Little Hugh, a child supposedly ritually murdered by Jews in 1255. Now there is a history of the event composed in 2009, in a spirit of ecumenical inclusivity, which acknowledges Lincoln’s leading role in the history of anti-semitism in England. Inclusivity cuts both ways of course – disowning the heritage of racism does not extend so far as to remove the remnants of the offending tomb. The wealth and stature of the cathedral itself derive to a significant degree from its anti-semitic attraction. The tomb cannot be disentangled from the cathedral. The modern gargoyles on the renovated parts of the exterior tell us more about the modern cathedral’s values. Death and money. Yes, we get it. 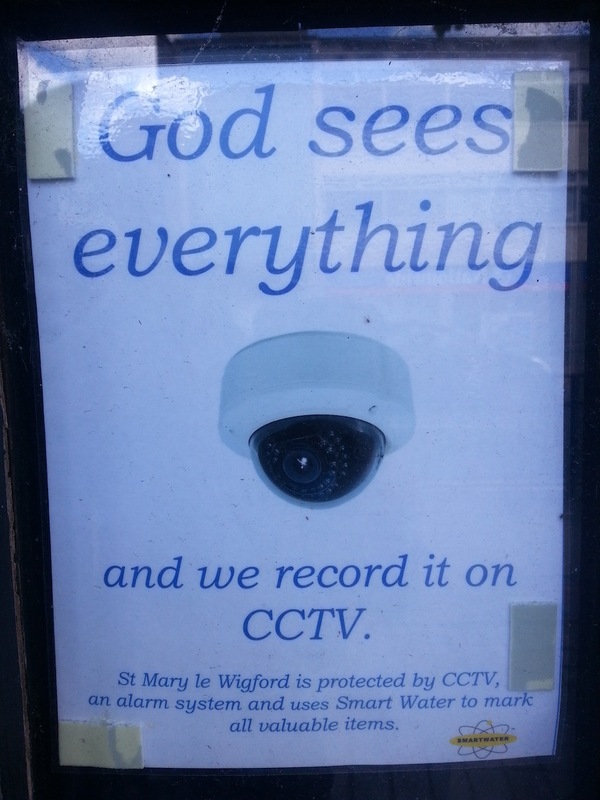 This is the Church of England à la Rowan Williams – unhappy with capitalism, but not quite uncomfortable. The vision of a demon transfixed by money goes back some way, indeed this is an undead Jew for all intents and purposes. The error is to outsource excessive interest in material wealth to a demonic entity, to some kind of repressed other, or to a hated minority. 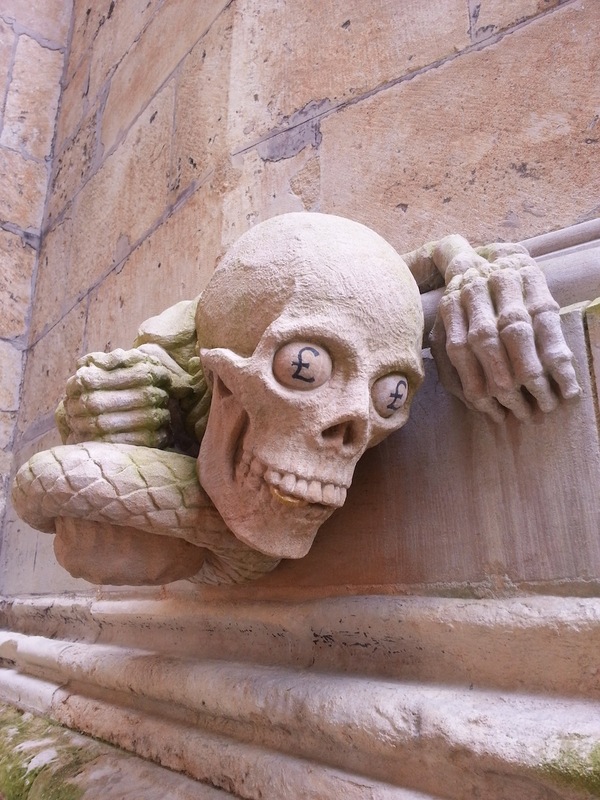 The real problem is far more disturbing and can find expression only in this weird gargoyle’s secret message, which is that God has not died, he has been transformed into money. 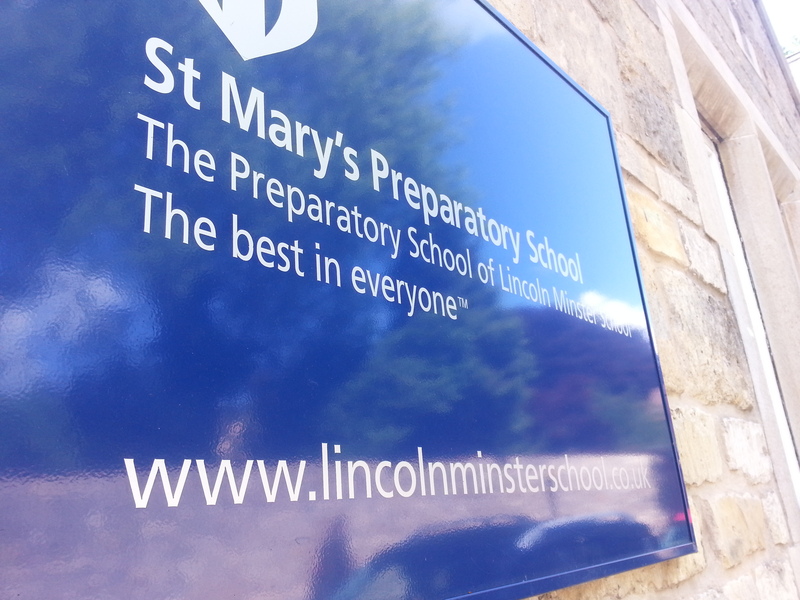 Connected to the cathedral is the prep school of Lincoln Minster School. A small, fairly posh place. It is interested in bringing out the best in everyone. The best in everyone, you understand, but not for just anyone. You have to belong. These photographs were taken from the wrong side of the wall. Down in the town, there sits ignored a far smaller, older church. St Mary Le Wigford is unfortunate enough to be crammed between the railway track, the train station, the high street and the hideous dual carriageway that cuts through the heart of the waterside (built 1972, when else?). In its desperation, it plays both God cards at once: God is eternally there, and He has agents who work for Him in the here and now. You belong to Me. You don’t belong here.